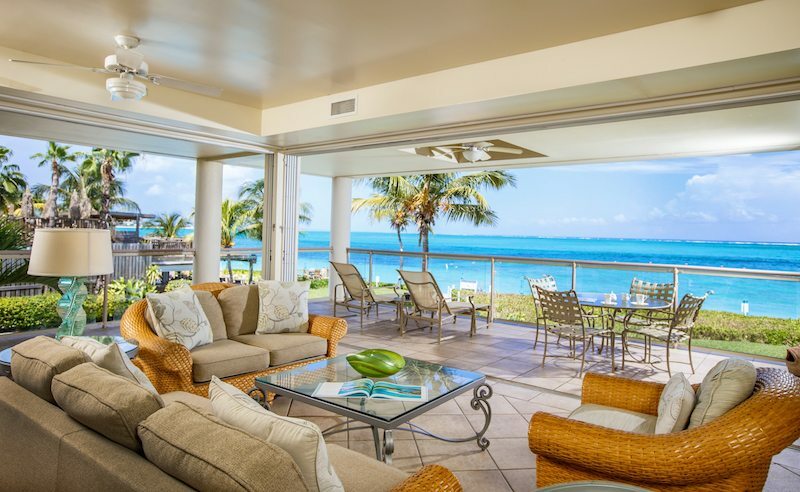 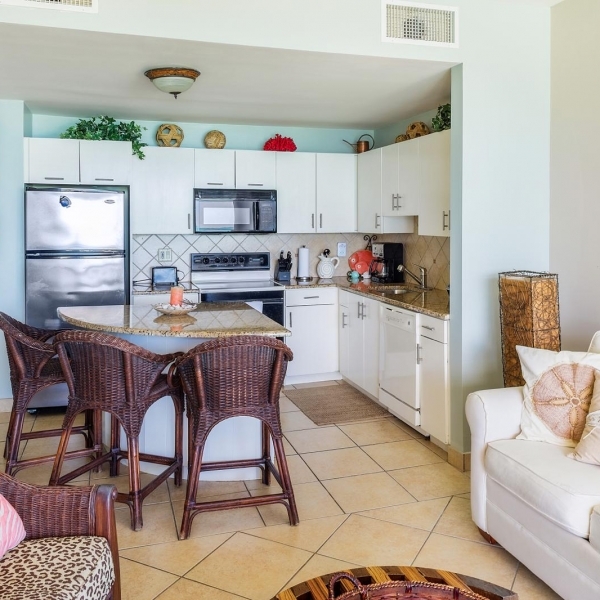 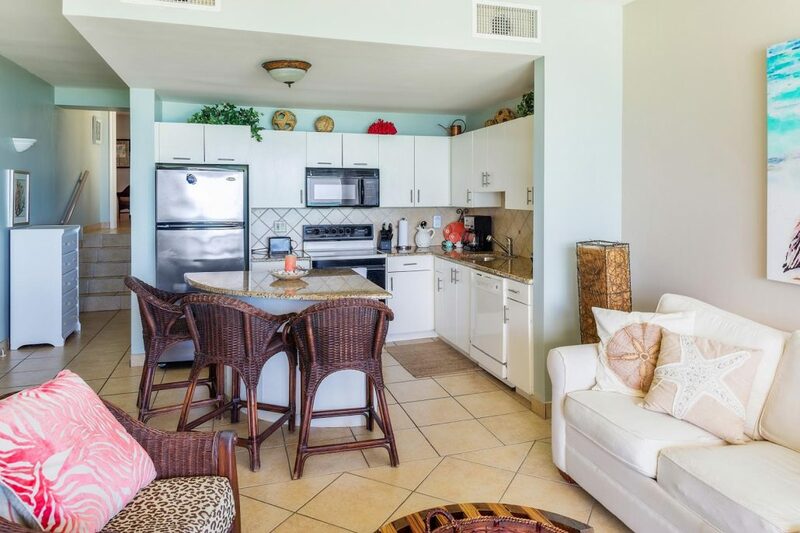 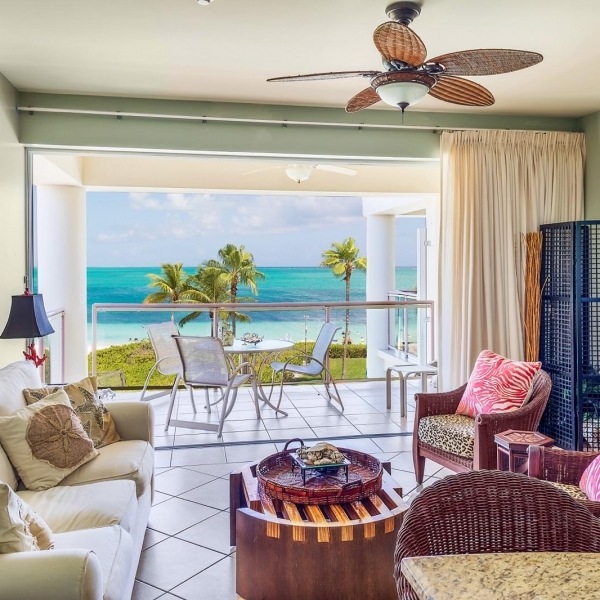 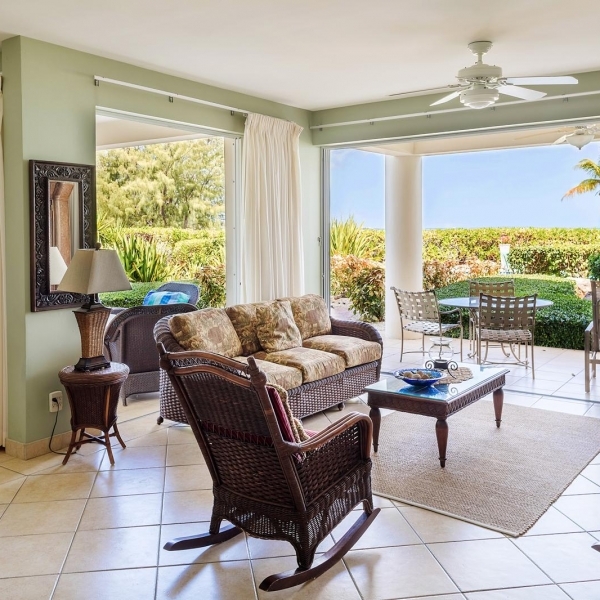 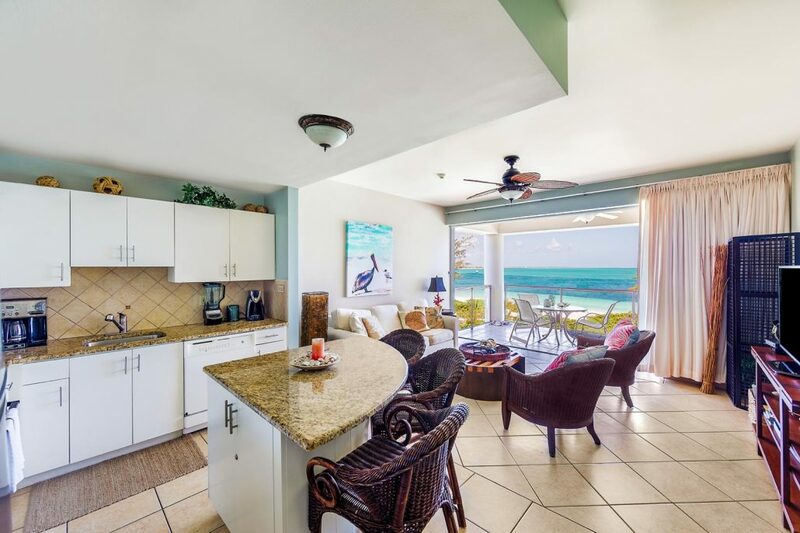 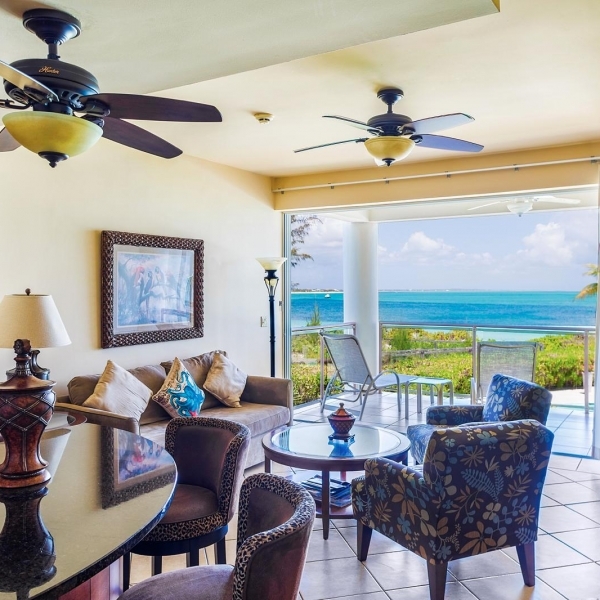 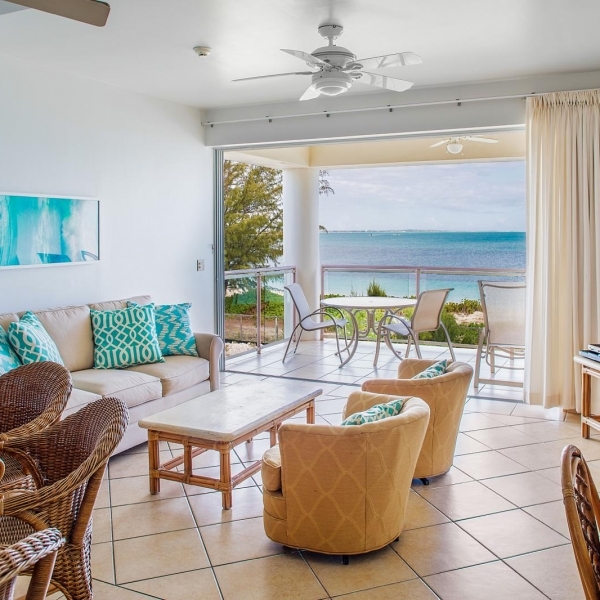 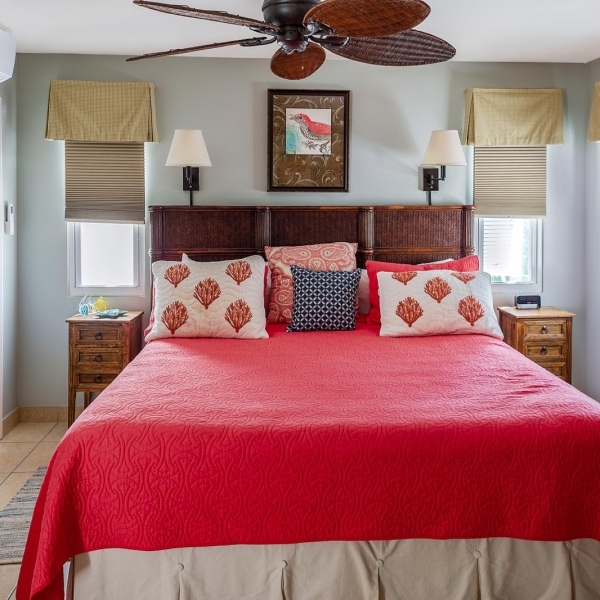 This privately owned Condo at Coral Gardens Resort is located directly on Grace Bay, and sits on the best snorkeling reef in Provo. 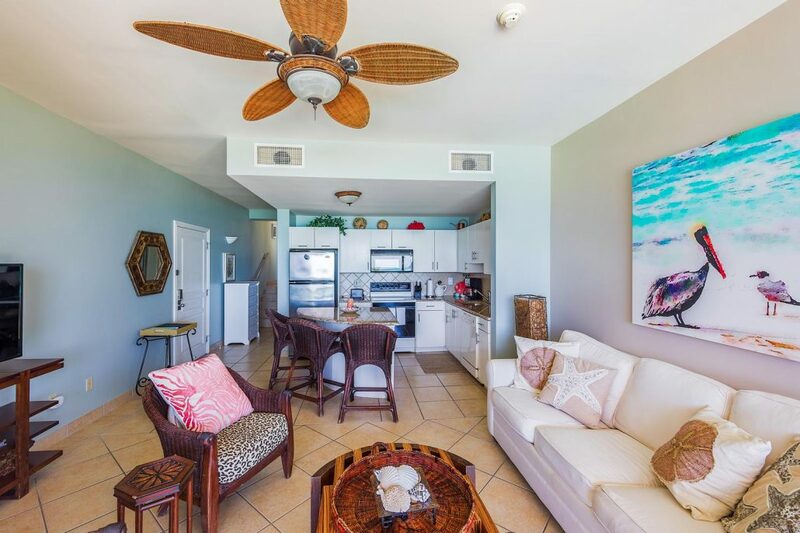 This modern, spacious, 1000-square-foot condominium features all the amenities to make your island holiday a memorable and relaxing one. 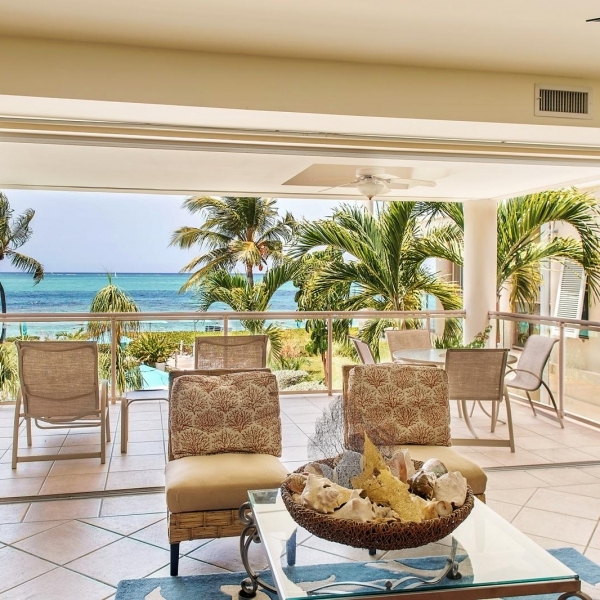 Floor-to-ceiling glass doors open to a panoramic view of the tranquil clear water and white sandy beaches are at your doorstep. 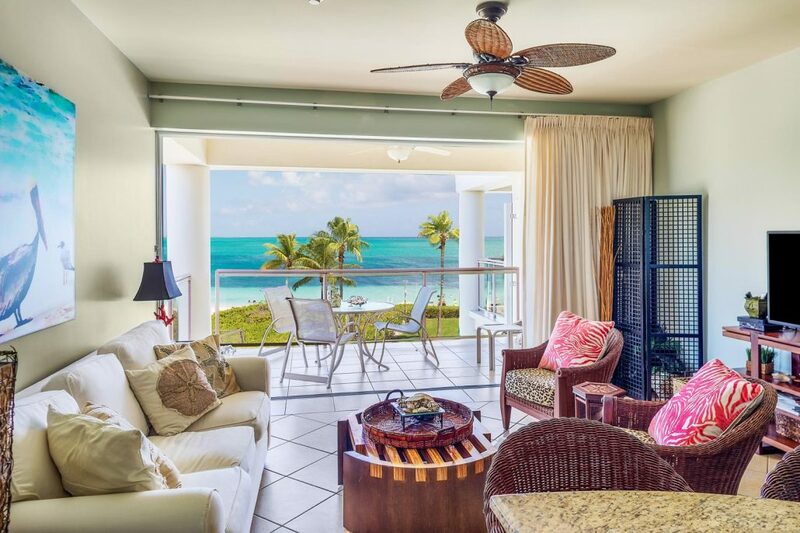 Elegantly decorated and has a dining balcony with truly spectacular views of Grace Bay… and the perfect breathtaking sunsets! 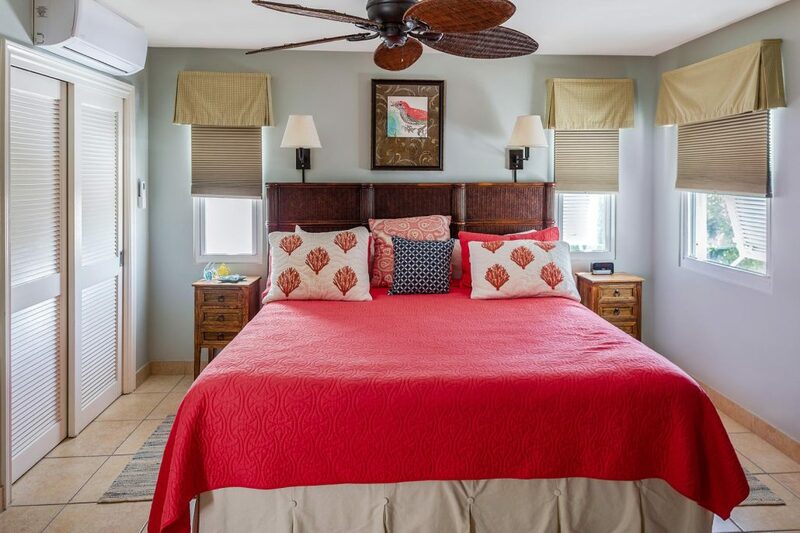 Beautiful Master Bedroom has a King Size Bed with attached bathroom with granite counter tops and double sinks and large walk-in shower. 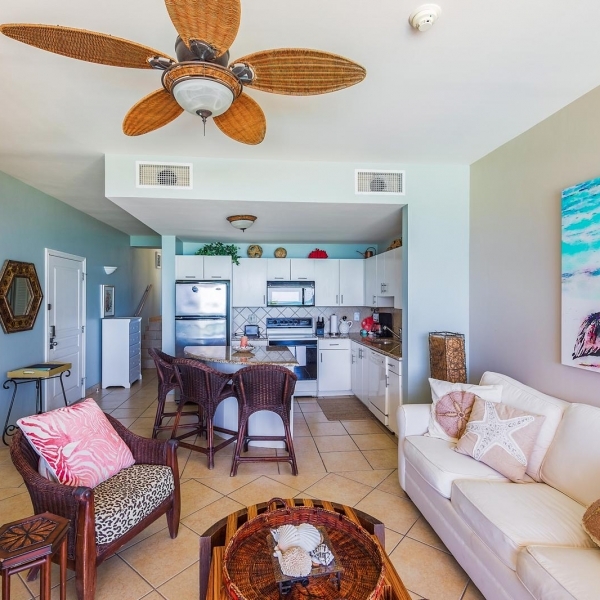 Flat screen television in bedroom and Flat Screen TV downstairs in living area. 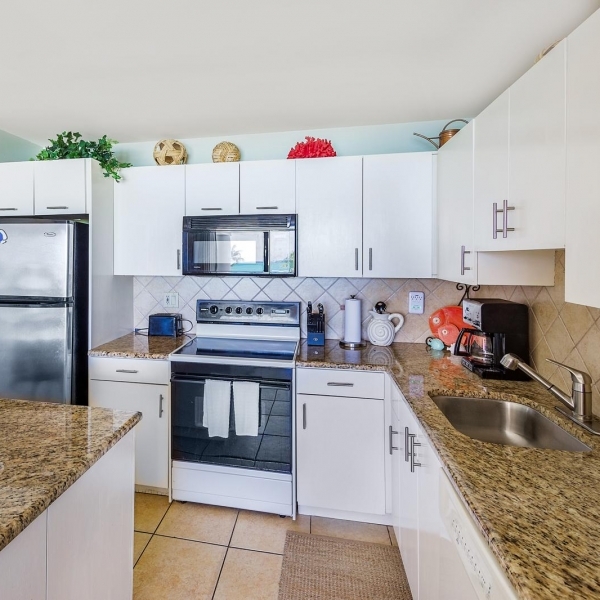 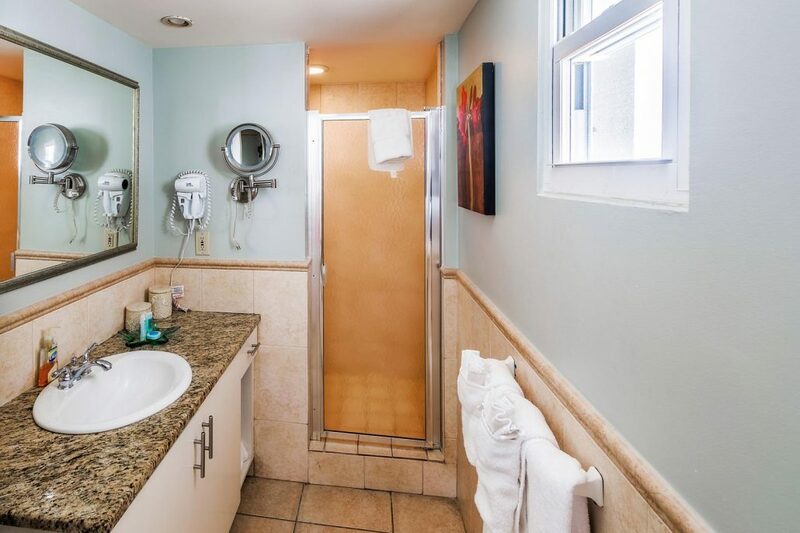 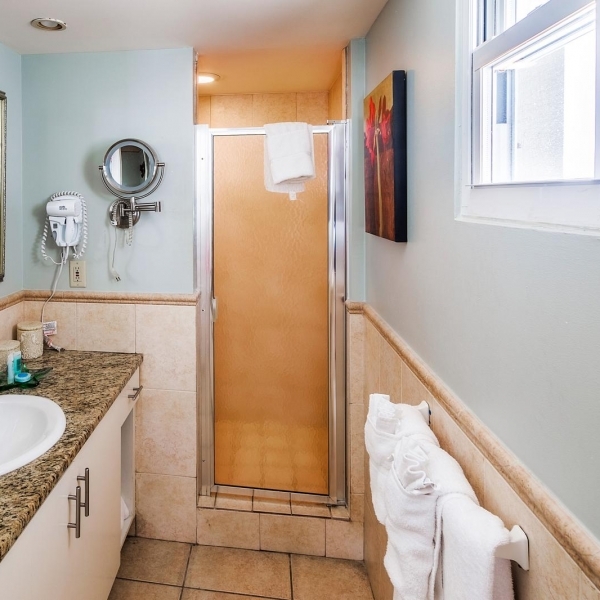 Also, a half bath and fully equipped kitchen with all appliances, blender, ice maker and glass top stove and microwave. 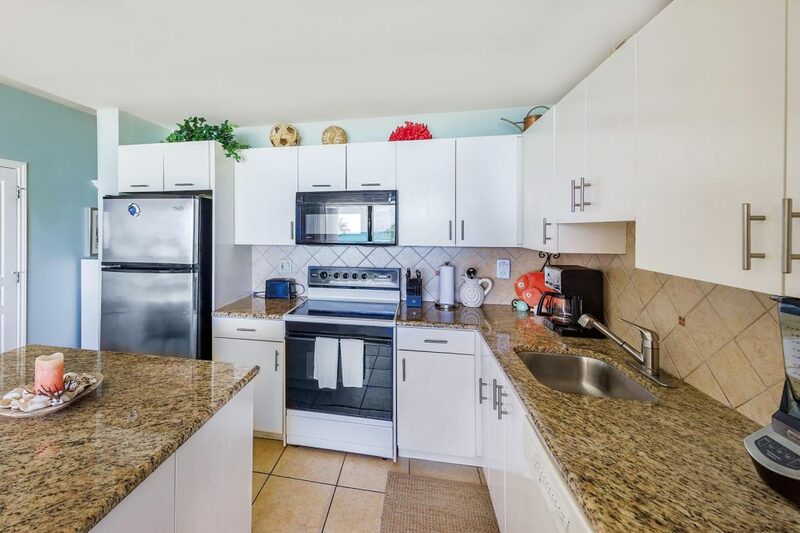 Brand new applicances and new granite counter tops. 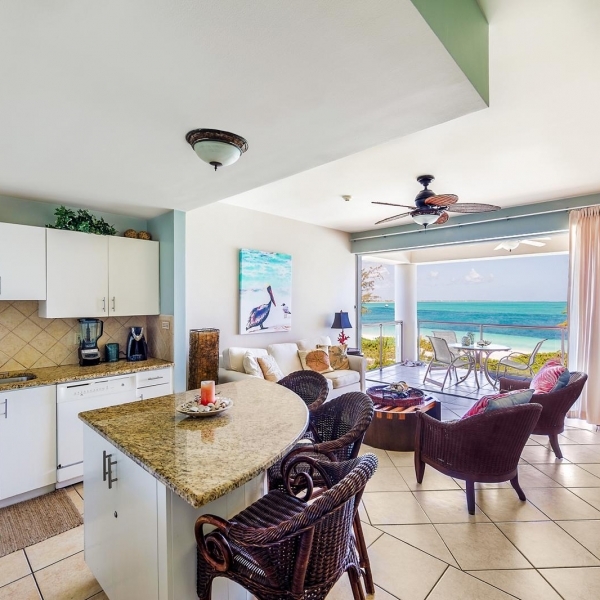 Breakfast bar with the beautiful view of Grace Bay!